As a new homeschooler, I spent hours upon hours going to vendor fairs, reading online reviews and discussing curricula on online forums. 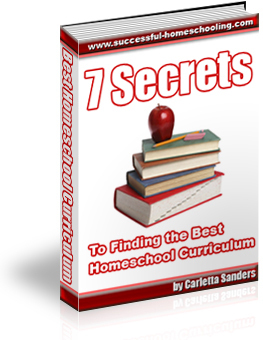 I discovered a step by step process for finding the best homeschooling curriculum, and I've written a FREE e-book to share that information with you!" Click on the book image, then scroll to the link that says, "Download your FREE E-Book!"